An estimated 15,000 fans — by far the largest in the last 10-15 years and possibly ever — were on hand at TPC Summerlin on Sunday for the Shriners Hospitals for Children Open final round. They will only have to wait 11 months to attend next year’s event because the tournament is moving up a month to Oct. 3-6, 2019. 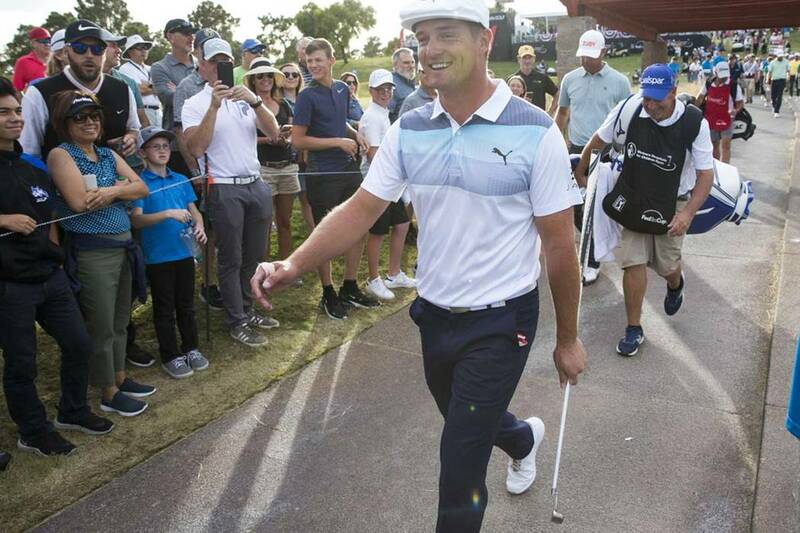 When eventual 2018 champion Bryson DeChambeau knocked in a 58-foot eagle putt from just off the green on the 16th hole to take the lead for good over defending champion Patrick Cantlay, the crowd’s roar reverberated to the 17th green where Cantlay was putting — he heard it while in the process of making a bogey for a three-shot swing — and to the media center located two holes and a large practice area away. Possibly the only person happier than DeChambeau was tournament director Patrick Lindsey. Years of hard work by the Shriners organization and his team were being rewarded right before his eyes. “It was probably the most excited I have ever been on a Sunday in my golf career,” Lindsey said Monday. “We had an incredible week and have been working on so many ways to take this event to the next level. Momentum from 2018 (after seemingly decades of lagging crowds and other challenges) should be fueled by the new date because the current November tournament slot conflicted with a tournament swing when many of the world’s best played in Asia. 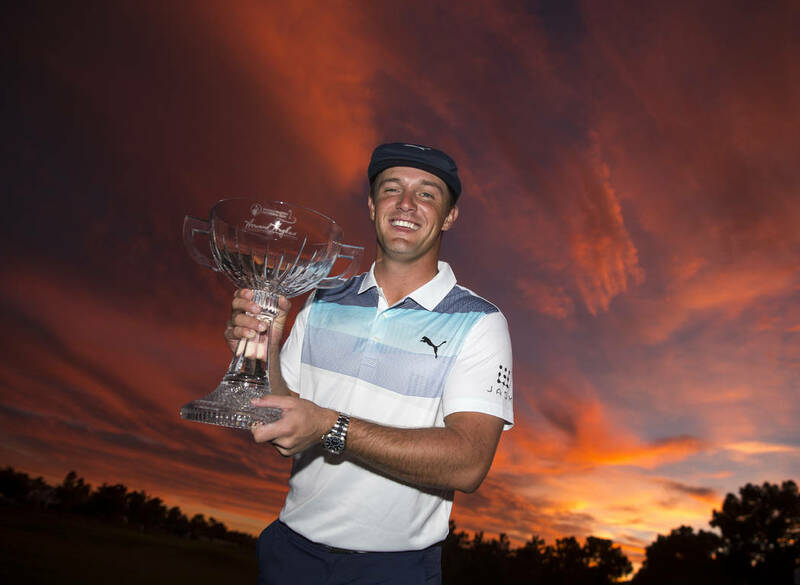 Even with that conflict, several legitimate big-time players like Jordan Spieth, Rickie Fowler, Tony Finau, DeChambeau and others played in Las Vegas this year and each made the cut. A strong local contingent battled until the end, led by Scott Piercy, who finished tied for 10th, and 2018 PGA Tour rookie of the year Aaron Wise, who finished tied for 15th . Expectations are for an even more impressive field in 2019. Lindsey said total attendance statistics haven’t been officially compiled, but the weekend was by far the largest turnout in the Shriners era (since 2006) and total attendance numbers will shatter those from a year ago. Qualified observers who have witnessed the tournament for many of its 36 years confirmed his estimates and said year-over-year attendance was up by as much as 50 percent even with a decent turnout in 2017 buoyed by the Vegas Strong feelings and crowd favorite Bubba Watson. Lindsey wasn’t authorized to speak about the new date because the 2019-20 PGA Tour schedule isn’t official yet, but plans are already underway for 2019. DeChambeau, 25, made his third appearance at the Shriners and it appears the tournament will continue to be a part of his scheduling plan. He was one of several players, including Spieth and Fowler, who took time to make positive comments about the tournament and the Shriners patients involved. The ecstatic Lindsey had the final word. Brian Hurlburt can be reached at bhurlburt5@gmail.com or @LVGolfInsider.